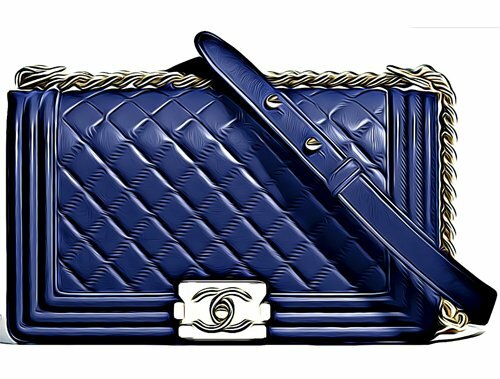 Here is the Chanel Price Increase Report of February 2018. And of course, the prices of Chanel handbags went up in certain countries, but none of the prices went down. 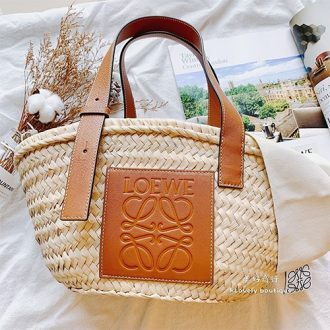 In this report we will also warn you about one handbag that might hike in price in the future, but for now you can still take advantage of the low price tag. This one handbag is the Small Classic Flap Bag, more details will follow below. We will also compare the prices between certain countries, so you can easily spot where to buy the cheapest. We will also take the tax-refund calculation into account. Now, let’s get this report going. Let’s start by checking which countries have increased in prices and which not. Which countries increased in prices? The day of the release of the Spring Summer 2018 Collection Act 1 should be a happy day. 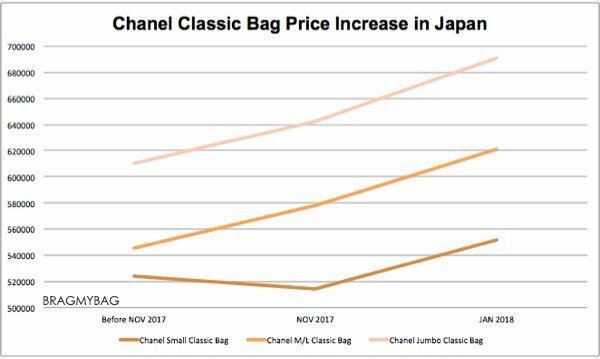 But for those that didn’t double-checked, it was also the day that the classic and the upcoming-classic handbag prices went up significantly in Japan. We’re talking about the Classic Flap Bags, The Classic WOC’s, Classic Wallets and even the Classic Boy Bags – all went up, up and up. And for the US! We’ve received a price hike of the classic bags in November 2017. But Chanel decided to increase the prices of the Gabrielle Bag in the United States as well. 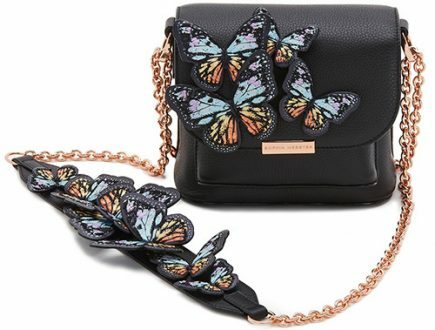 Perhaps this handbag is becoming very popular there – so more demand means higher prices. And now, let’s cover and analyze the prices of each handbag. The Classic Flap Bags in Japan went up in prices by around 7%. And perhaps 7% doesn’t sound a lot, but if you consider the already-super-high-price-tags of these iconic handbags, then it’s quite a lot of money. Let’s just say; this 7% extra payment could be an extra wallet or a beautiful coin purse. The Boy Bag prices have jumped as high as the Classic Flap Bags – they too have been increased by 7%. But do note one thing; the Classic Bags have always been more expensive than the Boy Bags, which means that the prices in Yen went up much higher. It wasn’t only the iconic bags that got the price-increase-slap, but the upcoming classics as well, like this Trendy CC Bag. 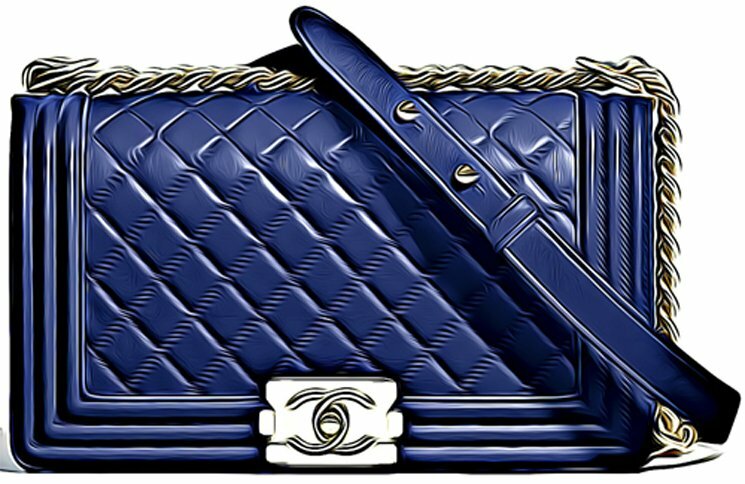 In fact, the upcoming classics went up in prices even more, for example; the Trendy CC Bags were increased by more than 12%. Now, if that isn’t a big slap. As we’ve stated before, the prices of the Gabrielle Bags in the US have been increased as well. But it’s only the Gabrielle Bags, the other bag prices have remained the same. The Gabrielle Bag collection is huge and almost all of these handbags have jumped prices. They went up by around 9% to 11%, which is quite a lot. We will only cover the most popular Gabrielle Bags because there are too many. For the latest updated prices, you can always check the Gabrielle Bag Prices Page. Bags like Coco Handle Bag have also been hit by the latest price increase. Currently we have only updated the newest size, the Maxi Coco Handle Bag. The prices of these bags went up in Europe, Hong Kong, Australia, Japan and even in Malaysia. The Classic Quilted WOC in Japan went up in price as well. The Classic Wallets have also been increased. Both accessories have seen an increase of more than 6%. Some wallets even went as high as 7%+. If you want to check out the latest prices, please go to WOC Prices Page and the Classic Wallet Prices Page. We’ve created two graphs to give you an idea of how aggressive the price increases have been in Japan. Both the iconic Classic Bags and Boy Bags went up significantly and frequently. The last price increase was just in November 2017, so you wouldn’t expect another one that quick. But now the prices went up again in January 2018, in that short amount of time. So if you can get your dream bag, get it as soon as possible. For now, the prices Europe are still the same, but how about tomorrow? 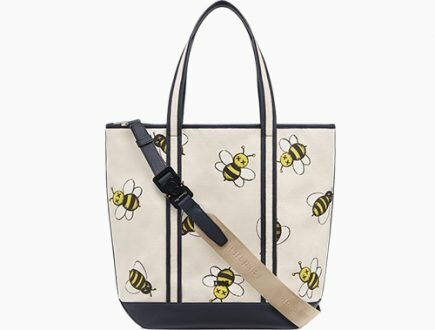 A few months ago, the bag prices in Europe went up except for the Small Classic Flap Bag. There were some rumors that Chanel was about to discontinue the Small Classic Flap Bag, which must be the reason for the price decrease, because they want to empty their stock. But that wasn’t true at all, because the Small Classic Flap Bag is still here. 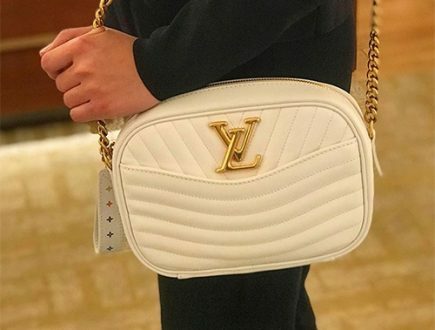 Now for all the bag hunters and dreamers out there, the Small Classic Flap Bag might jumped ‘a lot’ in prices in the next price increase announcement. Why? Because Japan is the proof. Before November 2017, the price of the Small Classic Flap Bag was ￥523800 JPY (equivalent to $4756 USD). 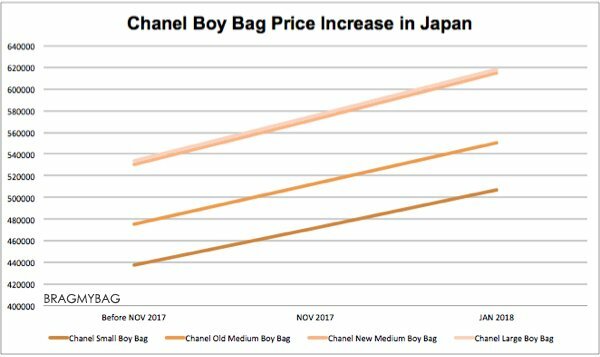 Then on November 2017, out of nowhere, all the bags in Japan went up in prices except for the Small Classic Flap Bag. 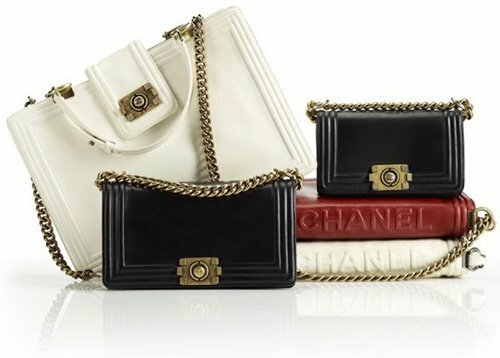 In fact, the Small Classic Flap Bag decreased in price (yes the word decrease is so scarce at Chanel!). The price went down to ￥514080 JPY (equivalent to $4667 USD). But at per today, the price has jumped again, together with the other classics and went up to ￥551880 JPY (equivalent to $5011 USD). Now that Japan has made as an example, the next price increase will also affect the Small Classic Flap Bag. So get it before it happens. Is It Cheaper To Buy In the United States Or Japan? We know that some US citizen travels to Japan to purchase Chanel bags because they’re cheaper there. The fact that they can take advantage of the tax-refund policy reduces the prices, and thus it might be cheaper to buy in Japan. But let’s create an overview, shall we? What were the prices before the price increase in the US and Japan. Was it cheaper for an US citizen to buy in Japan? Now let’s see how the prices are as per today. Is it still profitable to buy in Japan? As you can see, the price gap between US and Japan has been reduced. Perhaps this is why Chanel decided to increase the prices in Japan – it’s to eliminate this gap. Is It Cheaper To Buy In the Singapore Or Japan? Singapore citizen also shop in Japan because it’s cheaper and they can get the tax-refund. But let’s see how it affects the shoppers after the price increase. First, let’s see how the prices were before the price increase. Now let’s see how the prices are as per today. Is it still profitable to shop in Japan? It’s still cheaper for Singapore Citizens to buy an iconic Chanel bag in Japan. But if you’re an US citizen, then the discount is much less. So what do you think? All Chanel prices are updated. 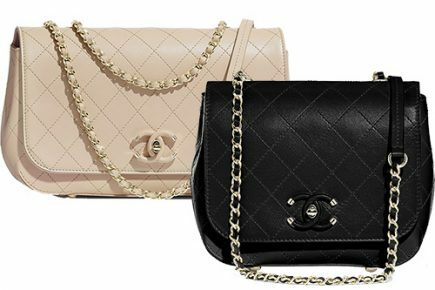 Go to Chanel Classic Bag Prices.